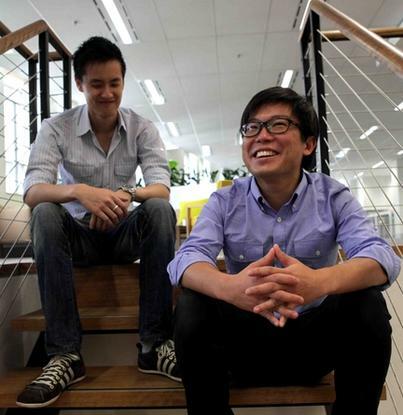 Airtasker co-founders Jonathan Lui (left) and Tim Fung. The funding came from Exto Partners, BridgeLane Capital and private angel investors, Airtasker said. In total, Airtasker has now raised $3.5 million. Airtasker helps people or businesses find workers for a specific task. A “sender” can post a task – deliveries, house cleaning or computer tasks, for example – and then potential “runners” bid for the chance to complete the job. In July, Airtasker signed a partnership with CareerOne under which CareerOne will post casual work offers from Airtasker. The tasks will be listed alongside CareerOne’s traditional job tasks. Airtasker also recently appointed Mitchell Harper, co-founder and CEO of BigCommerce, as an advisor. “In less than two years, Airtasker has transformed itself from being a growing online community notice board into an Australia-wide labour marketplace that is paving the way for a new era of employment in Australia,” said Airtasker CEO Tim Fung.